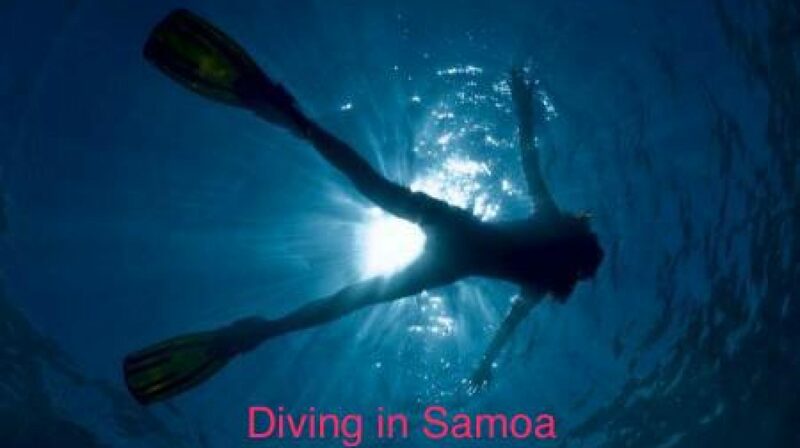 So you've dived the South Pacific, Have you dived Samoa Yet??? Scuba Diving Boat Trips start from 9am for all levels of certified divers. We have you back after your 2 Offshore Boat Dives by 1.30pm, which gives you time to go and enjoy lunch, go shopping or take in another “must do” that Samoa has to offer. Our PADI Dive Master, Dive Instructor or both, if required, accompany our guests. If you would like an extra dive buddy, our crew are all certified divers and would only be too happy to join you. AquaSamoa dive everyday, weather conditions permitting. Whether it is one diver or many. its what we love to do. AquaSamoa can take up to 15 divers at a time onboard our 2 boats. Our dive boats carry emergency equipment including oxygen, EPIRB and Fire Extinguisher, life jackets and first aid kits. Nearly as good as boat diving!!! We can offer the time poor Scuba Divers a single tank Scuba dive at one of our popular sites. As with boat diving, you will be accompanied by our PADI Professional Dive Master or Instructor. We will transport you by car to and from the dive site. We will take you, your family and friends on a boat trip to some of the best snorkeling sites in the area, all teeming with fish life, turtles and beautiful coral. One of our Snorkelling guides will also accompany you and will be only too happy to assist you with questions or if it is your first time snorkelling, will assist with tips on how to best enjoy your experience. They are exceptionally good at spotting marine life. We have a number of sites for snorkeling only minutes from the heart of Apia. Tours leave at 9.30am and 2pm daily, or other times by arrangement. You will spend up to 1.5hrs in the water enjoying the beautiful warm water and our marine life. AquaSamoa can also offer a guided walk in Snorkel tour at Palolo Deep Marine Reserve. Trip includes transport from our Dive Shop to Palolo Deep, entry fee and gear hire. Our tour lasts aprox 2 hrs. Whether your group is large or small we can accommodate you all comfortably. The boats all carry safety equipment and all levels of experience are catered for. You can even bring the kids!! Life jackets and swim noodles can be provided free of charge.. Cost for this adventure includes all equipment and snorkeling guide. Go to our contact page to enquire about pricing and any additional information you may require.